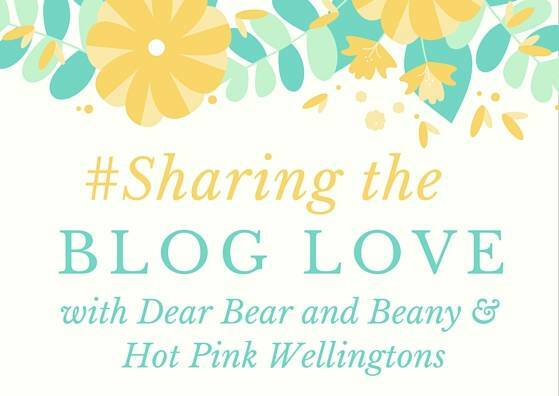 Welcome back to #SharingtheBlogLove. The linky I run with my lovely friend Katy from Hot Pink Wellingtons. The week’s are just flying by and it’s been a bit of a rollercoaster week for me. Following a post I wrote this week I’ve been overwhelmed by the support I’ve received from the blogging community, it’s been amazing and I’ve been so touched. What a wonderful community it is to be part of. Thank you to everyone who linked up, it was lovely to read all your posts and I look forward to reading this week’s post. It is my favourite part of the week.